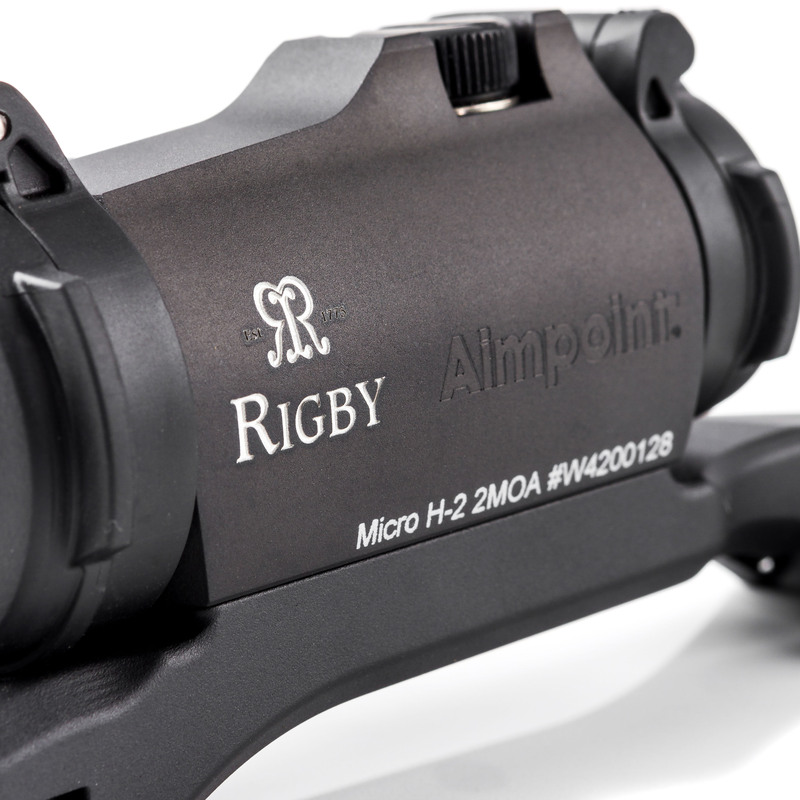 Rigby Aimpoint® Micro H-2 with integrated Hexalock mount - John Rigby & Co. 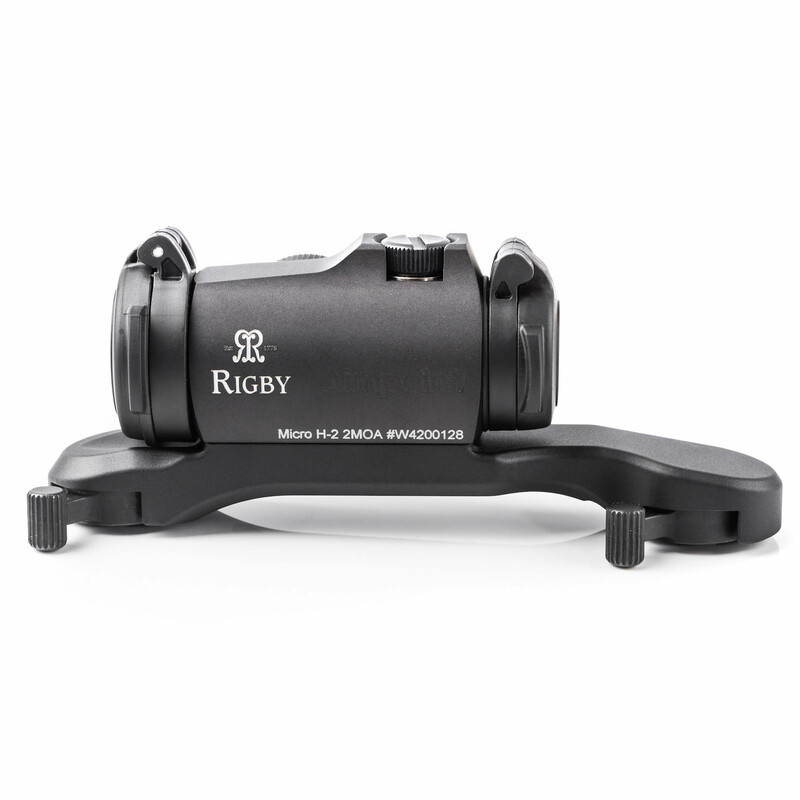 The Rigby Aimpoint® Micro H-2 is embossed with the iconic Rigby ‘double R’ logo and has an integrated purpose engineered single-piece mount which fits the popular quick release Hexalock bases. 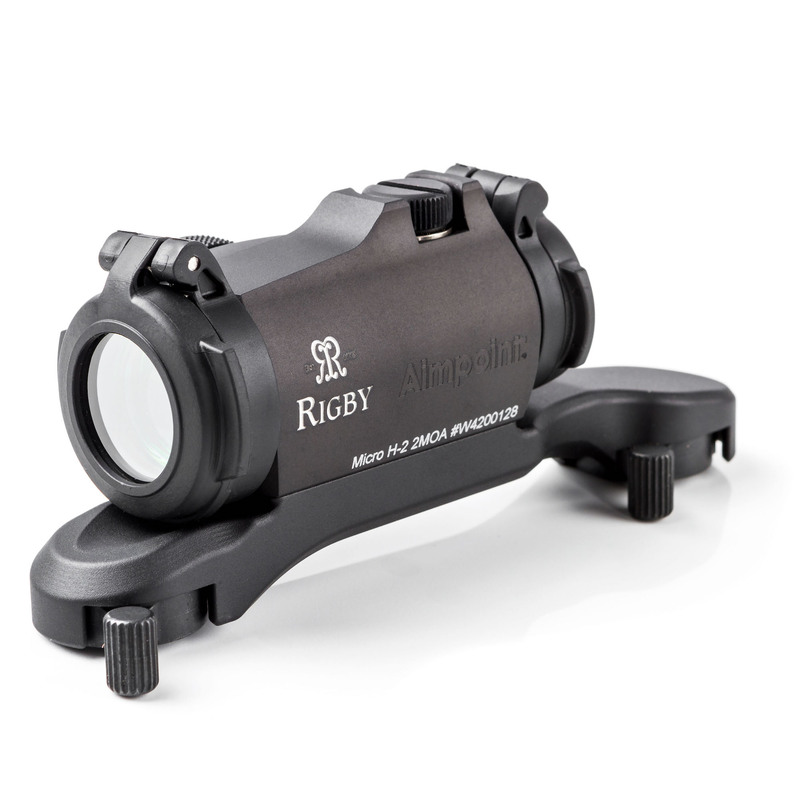 This extremely compact and lightweight scope, offers 12 brightness settings for optimal performance even in low light conditions. 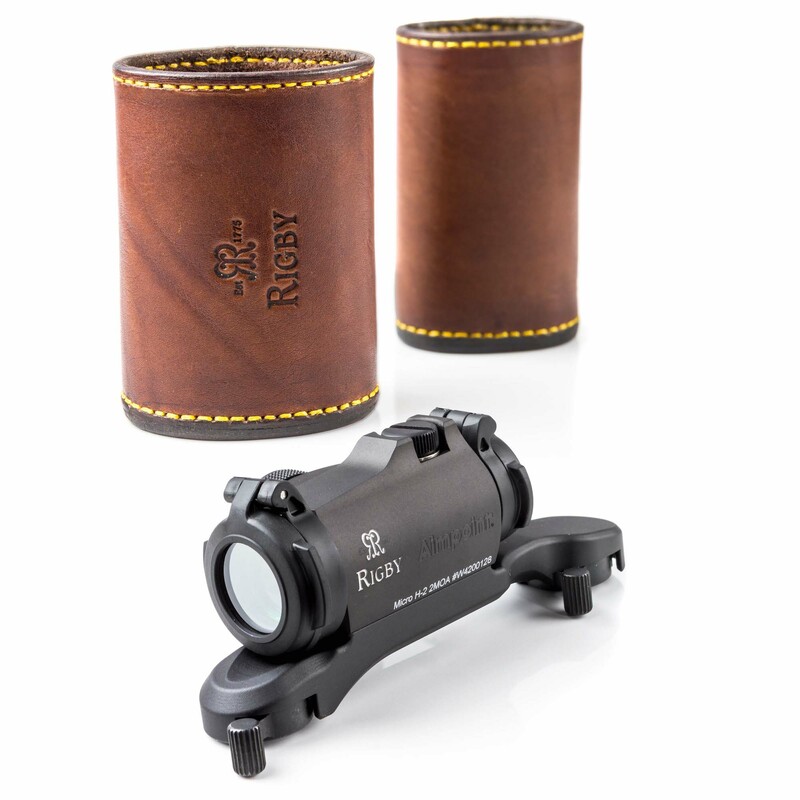 The optical lenses use a cutting edge coating increasing light transmission, ensuring the 2MOA red dot is distict and clear in all situations. Fully waterproof with a reinforced body, Rigby adventurers can be assured no matter the conditions this sight will not let them down. The transparent flip-up lens covers guarantee the lenses will stay clean and dry for maximum clarity. Engineered with ACET technology, just one battery enables 50,000 hours of operation.